Amazing Opportunity to own a Beautiful Historical 4 bedroom (5th bedroom converted to den), 2 1/2 bath Victorian home! Located in the GEM of the Foothills, Glendora. 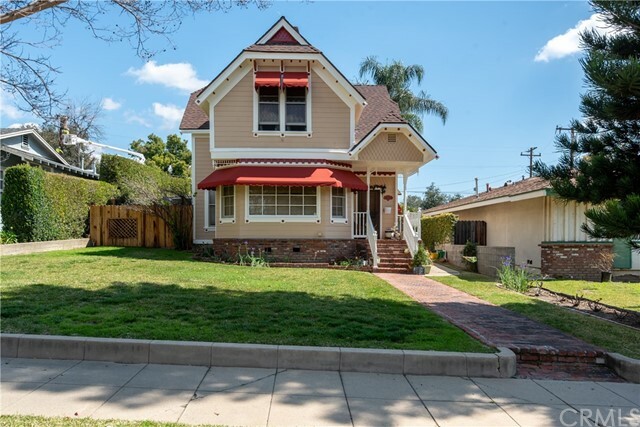 Built in 1886, it has much of its original detailing and craftsmanship with modern upgrades including a new kitchen with granite counter tops and stainless steel appliances. You will love the character details, spacious rooms, high ceilings natural light. Detached 2 car garage, 2 covered carport spots and room for a small RV too!! Laundry is inside. There's a spacious backyard with a POOL that is perfect for entertaining & relaxing! You are conveniently located at the base of the foothill, within walking distance to beautiful down town and Finkbiner Park. So picturesque. This is truly and MUST SEE! !